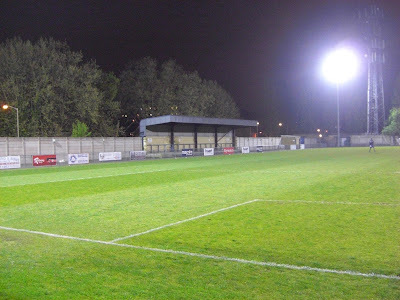 My sixteenth stadium of 2011 was on Monday 14th March 2011 at Champion Hill in East Dulwich, London. The match was Fisher vs. Tunbridge Wells in the Kent League Premier Division. Champion Hill is positioned just 400 yards from East Dulwich railway station. 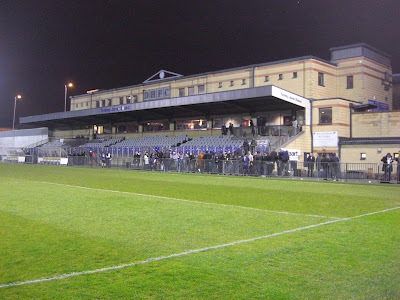 It is placed adjacent to a Sainsbury's supermarket which sits on the land of the original Champion Hill Stadium which was sold by owners Dulwich Hamlet after an 80 year spell at the arena. 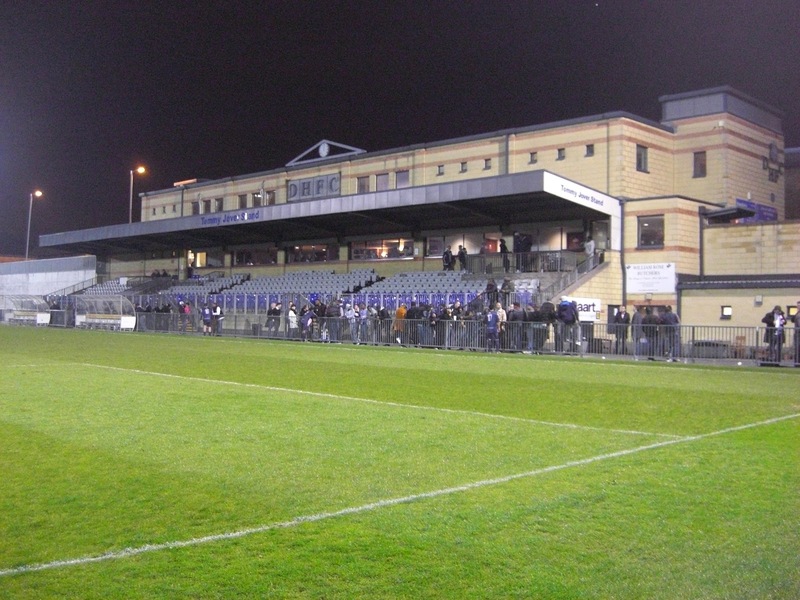 The current incarnation of the ground, built in 1992, is based around the former training pitch next door. Dulwich Hamlet are the occupants but my visit saw Fisher FC who were groundshared at the site between 2009-2016. The Tommy Jover Stand is the main stand in the venue. It is a large all-seater structure running alongside the pitch on the north-west side of the venue. The stand has quite a metallic feel to it with each section separated by metal bars with a capacity of around 500. The players changing rooms is located in the stand along with the club bar in the upper part of structure which is also attached to a leisure centre. Opposite the Tommy Jover Stand on the south-east side of the ground is a covered standing terrace which sits level with the half-way line. The rest of the ground is uncovered standing behind a metal fence with the areas behind the two goals having raised concrete platforms for viewing. The game ended up being very one sided in favour of the away team. Tunbridge Wells got an early goal and proceeded to plug away to get a second to try and build a cushion. They managed to score 3 goals in ten minutes either side of half-time and were threatening to run riot when they went four goals to the good after just 49 minutes. After this they took their foot off the gas a bit although did manage to add a fifth late on to pile on the misery onto a poor Fisher team.